Signs you might be a long distance daughter.. So I suppose this is a somewhat specific title, but just forgot about that (I promise I'll still make you laugh). 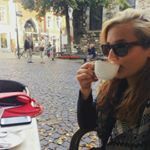 As you may know If you've read my about page, I'm living in Germany and well my mum and dad are not, so over the last few months I think we've picked up… Continue reading Signs you might be a long distance daughter..
5 reasons why it’s ok to take a gap year.. So as you've probably read on my 'about' page, I'm on my gap year right now, only it had a lot less jazzy patterned trousers than I would have hoped for it It's been pretty great so far. Although I do have to say it wasn't the easiest desicison to come by especially when all… Continue reading 5 reasons why it’s ok to take a gap year..